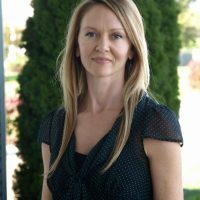 Janna Flower, MA, LPC, is a licensed professional counselor specializing in individual therapy with adults and adolescents. With over ten years in the mental health field, she has experience in the areas of: anxiety, depression, anger, grief and loss, trauma, and adjustments to significant life changes. Janna takes a collaborative and integrative approach in her treatment, utilizing Person-centered Therapy, Cognitive-Behavioral Therapy and other therapeutic interventions, depending on the the needs of the client. Her professional experience includes work with non-profit agencies, schools, churches, and private group practices, providing counseling services in both traditional offices and community settings. She also works as a Seminar Group leader at the University of Pennsylvania, and has been an adjunct faculty member at Philadelphia University.